Viewpoint is an innovative course that's based on extensive research into the Cambridge English Corpus, taking students to a higher level of proficiency to become effective communicators. 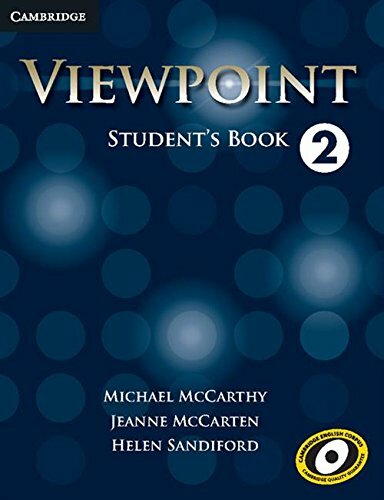 Viewpoint Level 2 Student's Book is for young adult and adult students who have reached the advanced level of English proficiency (C1). Each of the 12 units in this level teaches the language, skills, and strategies that students need to progress beyond upper-intermediate level and to speak and write in English naturally, effectively, and appropriately. From the same author team as the ground-breaking Touchstone series, Viewpoint also draws on the Cambridge International Corpus which underpins a highly effective approach to teaching English language. could you please upload again the file? Could anyone upload this file in a different page? Cannot access Filecloud.